I am seriously thinking that the Weekly Deals should be re-named to be ‘Weekly WOW’! Must-have products at fabulous prices equals a ‘wow’ for me! Look – it’s the Bear Hugs Framelits Dies!! 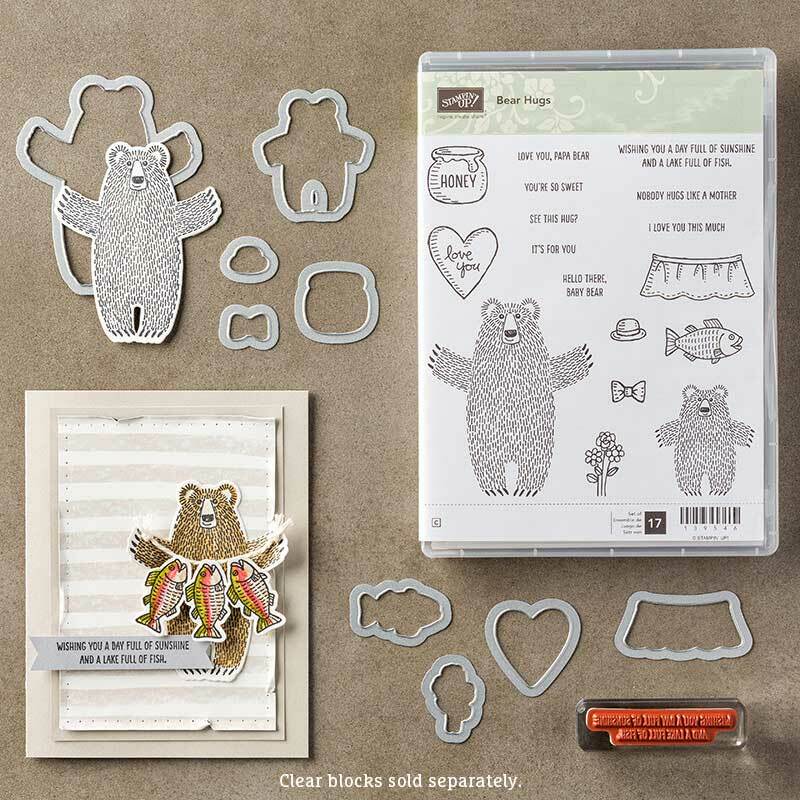 If you bought the Bear Hugs stamp set but not these matching framelits (I don’t know why, as you can get them as a bundle and save 15%) grab the Framelits now, and you’ll only be out of pocket about 75 cents over the bundle price! 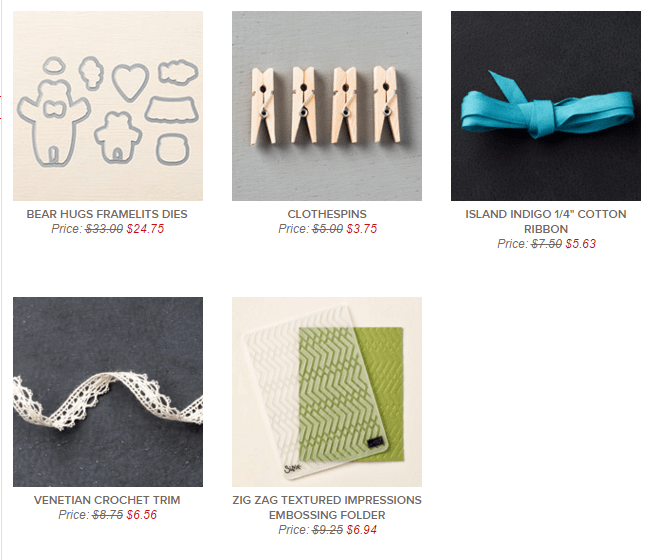 The rest of the items on this week are equally fabulous – just look at the colour of that Island Indigo ribbon! Gor-jus!! Remember that these deals are only on for 1 week, so grab them while you can! You have until next Monday February 1st to get your order in; and in case you’re looking for a ‘reason’ to order, don’t forget about Sale-A-Bration! Every $60 order qualifies for 1 FREE item from the Sale-A-Bration brochure, and your order can include any (or all ) of the Weekly Deals items, items from the Clearance Rack, the Annual Catalogue and the Occasions catalogue. That’s a lot to choose from – I know you will find things you need! Of course, you can always grab the best deal of all during Sale-A-Bration; sign up with me before March 31st, and you’ll get a Starter Kit with $195 in product of your choosing, for ONLY $125! Plus FREE SHIPPING! Now that can’t be beat! I’m looking forward to hearing from you; until then, I’m off to work on my projects for next Monday’s blog hop with the Blogging Friends!